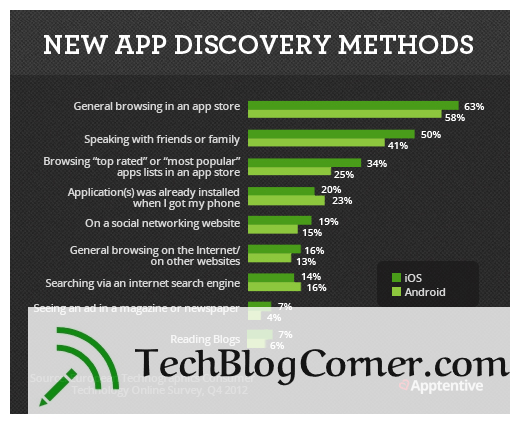 How Do iOS and Google Play Differ In App Store Search? 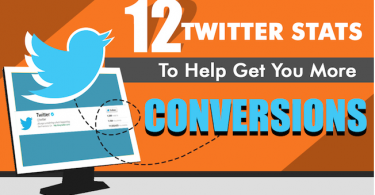 The good news is that one of those questions is easy to answer – you’ll definitely need an optimized mobile website. With so many people accessing the net via mobile, if you don’t provide an optimal experience for these users on your site, then you’re losing potential customers. 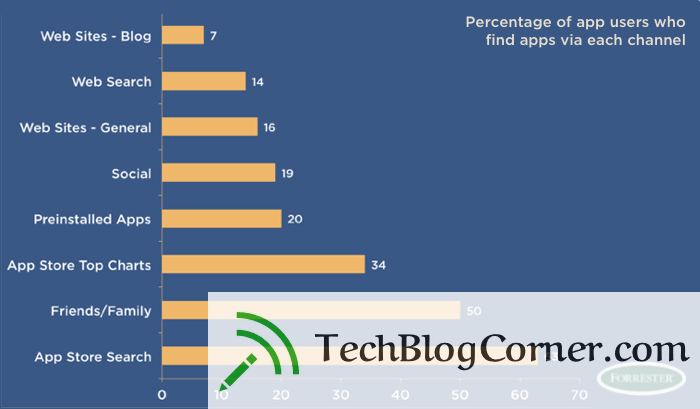 Apps with keywords in the title ranked on average 10.3% higher than those without a keyword in the title. So, is a keyword worth placing in your title? Yes. 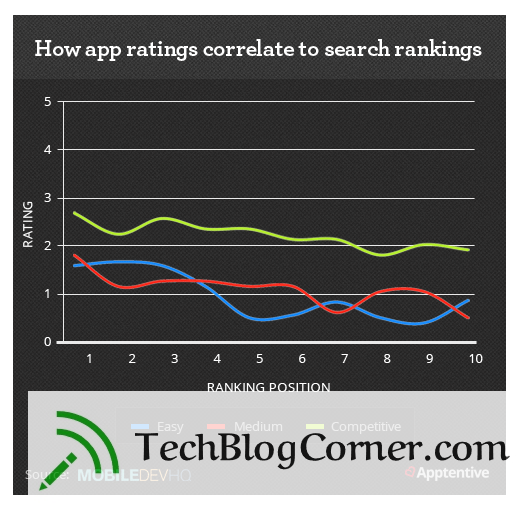 There is a clear trend showing that apps with higher ratings also rank higher for keyword difficulty. According to one study from Cisco, traffic from wireless and mobile devices are expected to outpace wired devices by 2018. Not to mention, mobile data traffic will grow three times faster than fixed IP traffic. Don’t use multiple word phrases; break out to individual words (Apple can combine them for you). 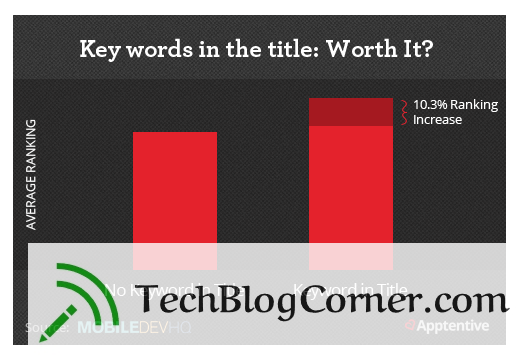 Don’t repeat keywords that are already in your title (and put the most important ones in your title, leaving the keyword field for your secondary keywords). Separate keywords with commas, and don’t use spaces anywhere. The most important rule to remember when creating your screenshots is that they should not be screenshots. They are, instead, promotional graphics. That means you can include text or other graphics to tell your app’s story in an interesting, visual way. Especially in iOS, where the card layout shows your first screenshot, it is incredibly helpful when an app displays a graphic which explains the app right up front, increasing conversions from search results to viewing the app page and, ultimately, installing the app. 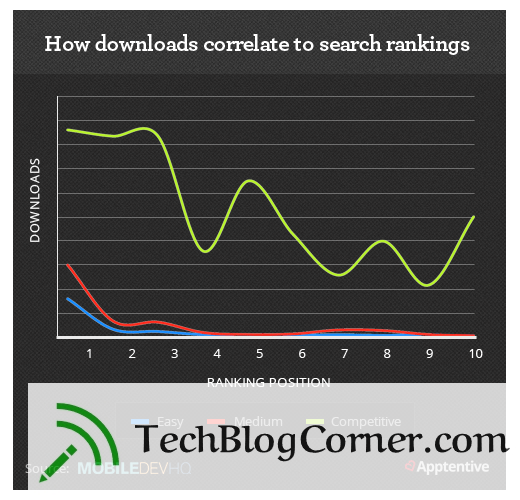 When Apple launched their app store, they used the same technology that was already built for music, which meant that the app title, developer name, and keywords were the only fields used to understand search for an app. Note that description isn’t taken into account in iOS (but I expect this to change soon). On the other hand, there is no keyword field in Google Play; there is only a description field. Thus, while iOS doesn’t take the description into account, in Google Play the description is all you have. 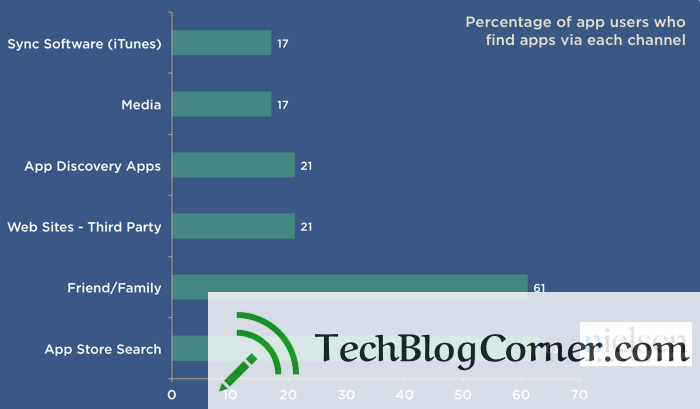 In addition to having a great, free, in-app analytics product (Flurry Analytics), as well as an interesting paid advertising product (AppCircle), Flurry also posts some of the most interesting data about the app ecosystem on their blog. Sylvain has written some great content and has some incredible insights into app marketing and ASO on his company’s (Apptamin) blog.